There are many advantages that come with having a car to use while travelling, but especially through Europe. You can head wherever you want, whenever you want, carry more luggage, and have the comfort of your own space. So why is it that there can be so many hassles with a hire car? There are the hidden costs, especially if you have an accident – there’s insurance, limited mileage, and sometimes not-so-reliable or not-so-clean cars. I’d heard that Renault Eurodrive had changed all that. 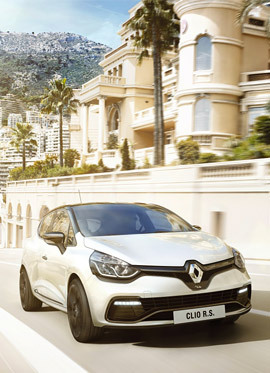 The concept is simple; you lease a brand new Renault model of your choice, ranging from a small five-door hatchback to a seven-seater people mover. You pay a fixed amount depending on how long you want it for, you can do as many kilometres as you want, and there are delivery centres all over Europe, from Italy to Portugal to the UK. Furthermore, multi-risk insurance is included in the price, with no excess, and you get 24/7 roadside assistance. Sounded too easy … but I decided to give it a try on a recent visit to Europe with a friend of mine. The plan was to pick up the Renault in Madrid, drive it to Morocco, back to Spain, through the south of France and into Italy, dropping it off in Rome one month later. I was a little curious as to how easy (or hard) the pick-up would be, my Spanish not being the best. But it went without a hitch. The English speaking agent offered a free pick-up service from the airport and from there he drove me to the delivery yard. 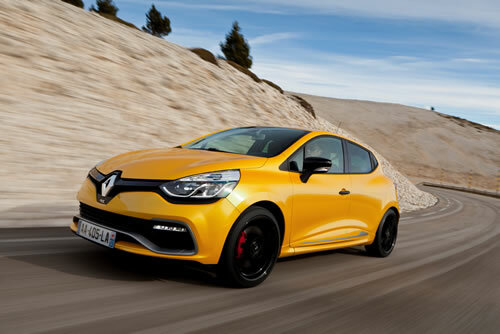 No more than fifteen minutes later I was driving out the gate in a brand new Renault Clio Campus with only seven kilometres on the clock, all paperwork in hand, insurance and roadside assistance fully explained. A little explanation about how the leasing system works. In effect you are actually buying the car from Renault; you say how long you want it for before you want Renault to buy it back from you. So you own the car while you are driving it, but you only pay a fixed amount, depending on how long you have it for. This amount is the difference between the price you buy it from Renault for, and the price they buy it back from you for. So, onwards to Morocco which I felt might be a good test of Renault’s roadside assistance. Fortunately it wasn’t necessary, even though I drove on the edge of the Sahara and through the craziest traffic I’ve ever seen in Marrakech. I thought for sure I’d be making some insurance claims after that – but, no! Incidentally, not many hire companies insure their vehicles for travel to Morocco, but it is among the 43 European countries that Renault Eurodrive cover. It certainly was great to have an air conditioned car in that heat, and we had a place to store all the rugs and souvenirs we’d bought. After giving the car a thorough clean from all the dust and bugs, we were on to Spain. It was mostly motorway driving here, and we were very thankful for the iPod connector included with the car. Our vehicle was without “options” but you can choose a number of things, from GPS to automatic transmission to baby seats. The modern diesel engines are amazing – extremely economical, and even though we had a 1.5 litre, it had enough power to keep us cruising at 130km per hour comfortably. 7,700 km later, after passing over the Pyrenees, cruising along the Côte d’Azur, and winding round the Ligurian Coast, we were dropping the car off at the Renault Eurodrive agent in Rome. Once again it was a very straightforward process, taking only ten minutes this time. The agent was friendly, spoke good English, and dropped us off at the nearest train station. Speaking of delivery centres, there are 34 centres in nine countries. Pickup and delivery is free within France, but if you want to pick up or drop off your vehicle outside of France you pay a fee. However, book early enough and you get 50% off this fee, as well as extra free days. And of course you’re covered by insurance and roadside assistance in 43 countries, so you don’t have to limit your trip to one country! Our verdict? What could be better than taking a brand new car through Europe with all the modern conveniences and the peace of mind knowing you’re fully insured and have assistance on hand 24/7. It truly was hassle-free travelling.